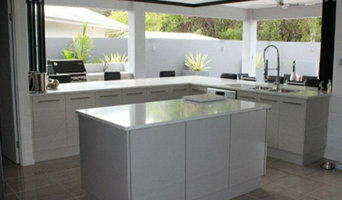 Kilfoy Cabinets has been making high–quality kitchens & cabinetry in Cairns since 2003. Our customers range from first home buyers to empty nesters. Our design–to–install–service offers you innovative designs with honest, reliable service and advice. And by using “Dynamic Space” design concepts we can ensure our work is of the highest quality. CCW Cabinet Works is a multi-award winning Queensland company with an enviable reputation for the design and manufacture of high quality, custom made cabinet work. Servicing commercial and residential clients across the Far North, we have been operating from Cairns for more than 20 years, providing cabinetry for a wide range of custom built projects. While we are most often sought for our Certified Kitchen Designers, as one of the largest cabinet makers in North Queensland we also design and manufacture commercial cabinetry projects. Our commercial joinery capabilities are diverse and include hotels, hospitals, banks, retail shops, commercial offices, laboratories, multi-unit residential buildings, toilet partitions and reception counters. Within the home, our experienced kitchen designers can help you to develop your ideas - and we’ve created some tools that will help you with the process. Whether renovating or building a new home, our planning tools will help you to design the perfect kitchen for your needs. In addition to kitchens, our team provide advice on all home cabinetry projects including your vanity units, bathroom, laundry, wardrobes, study, home office, outdoor kitchen and entertainment unit. CCW Cabinet Works promises and delivers the highest quality workmanship by combining state-of-the-art design software and production machinery with good old fashioned service and craftsmanship. Visit our Showroom at 2-10 Industrial Avenue, Stratford – we have the largest display in Cairns - kitchens, vanities, and pantry displays to provide you with ideas and inspiration. Pro Form Tops is a manufacturing leader of premium board products in Northern Queensland. Servicing the Far North for over 20 years Pro Form Tops has an enviable reputation for providing the finest quality products that have both style and durability. Supplying quality board products to the cabinetmaker, tradesperson or do-it-yourself renovator Pro Form Tops is the "one stop shop" for all your board and laminate requirements. Specialising in cutting and post forming along with a unique assembly design, Pro Form Tops provides products and flat packs for various applications including kitchens, bathrooms, laundries and wardrobes. Design and development services are offered to clients and staff are well qualified to work with the output of the latest software. 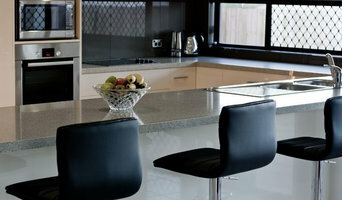 Recent expansion of our services include the manufacture and installation of Veinte 100% acrylic and stone bench tops. Pro Form Tops has been very successful in providing customers with excellent personal service, professional superior technical advice and the acquisition of equipment providing niche manufacturing capabilities. Granite Transformations began in Perth in 1996 and has grown to be the world’s largest specialist kitchen renovation network with hundreds of showrooms and branches throughout Australia, USA, United Kingdom and New Zealand. We combine the finest quality quartz, granite and recycled glass in a state-of-the-art polymer base to produce diamond-polished surfaces that are non-porous and scratch, stain, heat and impact resistant. What’s more, by virtue of our unique production process, our slabs are just 6.5mm thick, which means they can be installed directly over your existing benchtop to save you time and money. Our certified installers can not only alter the shape and size of your benchtop, they can also replace old cupboard doors, drawer fronts and panels with your choice from the latest designer ranges. We can transform your old benchtop or makeover your kitchen, for less money and without the hassle of having your old kitchen demolished and replaced. Benchtop makeovers can be completed in as little as 1 day and a complete kitchen transformation usually only takes a couple of days. Our products are also a highly effective and stylish option for bathroom and laundry renovations. There are many types of kitchen professionals in Cairns, Queensland – from cabinet makers, to carpenters and interior designers – and many trade professionals offer a full suite of expertise. Depending on the size of your kitchen renovation, and the kitchen designer, they may also hire contractors on your behalf and manage the project from beginning to end. Here are some related professionals and vendors to complement the work of kitchen & bathroom designers: Kitchen & Bathroom Fixtures, Appliances, Tile, Stone & Benchtops, Joinery and Cabinet Makers, Carpenters. 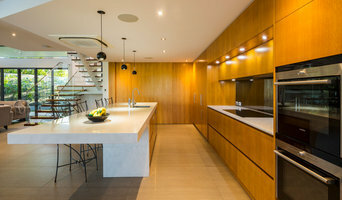 Find a Cairns, Queensland kitchen designer on Houzz. Browse the Professional section on Houzz to find kitchen designers in Cairns, Queensland. Then, scroll through photos of their latest kitchen renovations and see how their work compares to the scope of your project. You can read reviews to see how other homeowners rate their work, and message them directly to to ask any specific questions.